Ahoy ye landlubbers! If you’re searching for high seas adventure (without such a high cost to enjoy it or even having to venture too far into the sea) allow this seadog to suggest a road trip along the southeastern Atlantic coast of the United States. I spent a couple of weeks in September touring the coasts of North Carolina, South Carolina and Georgia in search of pirate treasure. My trip (which I should note was well before Hurricane Florence made her pouring presence known) hit some of America’s most beautiful beaches and historic cities with plenty of great food and drink as well as loads of fun and topically piratical activities along the way. Of course, by pirate treasure I don’t mean a chest filled with coins and jewels buried on a remote beach. The treasure I sought was more a bounty of history, legend and scenic destination. 2018 marks the 300th anniversary of the death of perhaps the world’s most infamous pirate: Blackbeard. This ominous date and the chance to explore some of his haunts were the inspiration for my trip. Little is known about Blackbeard’s life save his most dastardly misdeeds. But it is recorded that he was killed by British Naval Lieutenant Robert Maynard off the coast of Ocracoke Island in the Outer Banks of North Carolina on the 22nd of November 1718. 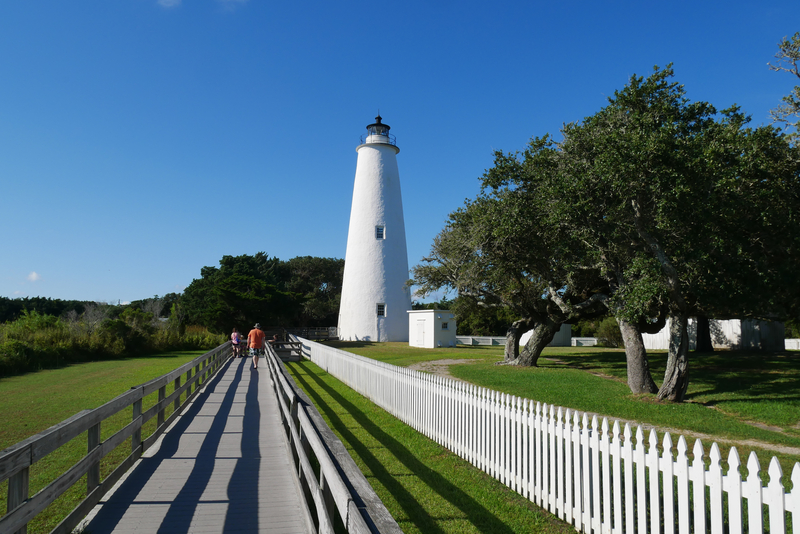 To be sure Ocracoke was a key stop of my itinerary – as were Greenville, North Carolina; Charleston, South Carolina; and Savannah, Georgia. There were so many other spots I’d love to hit with respect to pirate history, specifically Blackbeard. Next time me hearties! Ready to have your timbers shivered? Here’s a look at the highlights from the destinations visited during my Blackbeard road trip. Greenville, North Carolina is the home of East Carolina University. Very much a college town, it’s got a laidback feel not too dissimilar to more celebrated southern coastal cities such as Charleston, Savannah, Mobile and New Orleans. Along the same lines as those cities, Greenville is a great place to eat! I particularly loved my dinner at Sam Jones BBQ, owned by one of the world’s most revered pitmasters and ardent traditionalist when it comes to cooking wood-fired whole hog BBQ. Pirate claim to fame? ECU runs the Queen Anne’s Revenge Conservation Lab, where artefacts recovered from Blackbeard’s sunken flagship – the Queen Anne’s Revenge – are conserved, documented and analysed. The QAR was shipwrecked about a mile off the shore of the North Carolina coast near Atlantic Beach. Guided tours of the lab are conducted regularly offering fascination insight into ancient regional history and the cutting-edge technology used to learn about it. 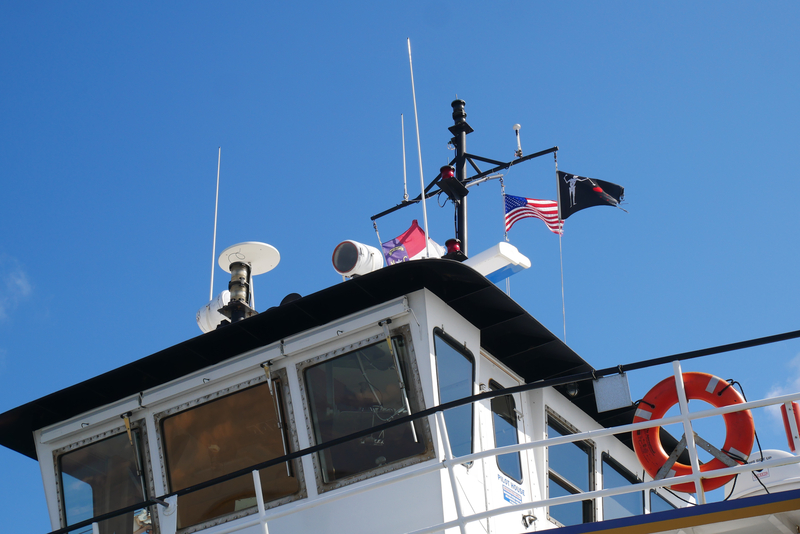 Next stop was Ocracoke Island (reached by a two-and-a-half-hour ferry ride). Beaches here are big and broad with no development along them and are ideal for surfing, fishing or building sandcastles. 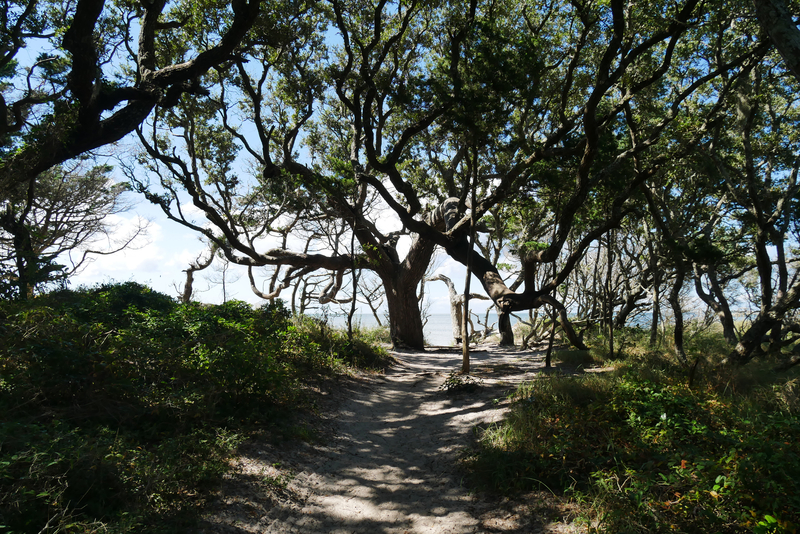 Best time I had on the island was my hike around Springer’s Point with island resident Philip Howard of Ocracoke Ghost & History Tour. Philip spun tale after tale as we walked to the shore to see where Blackbeard lost his life at the hands of the British Navy three centuries ago. Earlier the same year that Blackbeard met his demise he blockaded the city of Charleston until he received medical supplies for his crew. Charleston is also where the “Gentleman Pirate” Stede Bonnet was hanged the same year. 1718 was Charleston’s big year for pirates apparently. 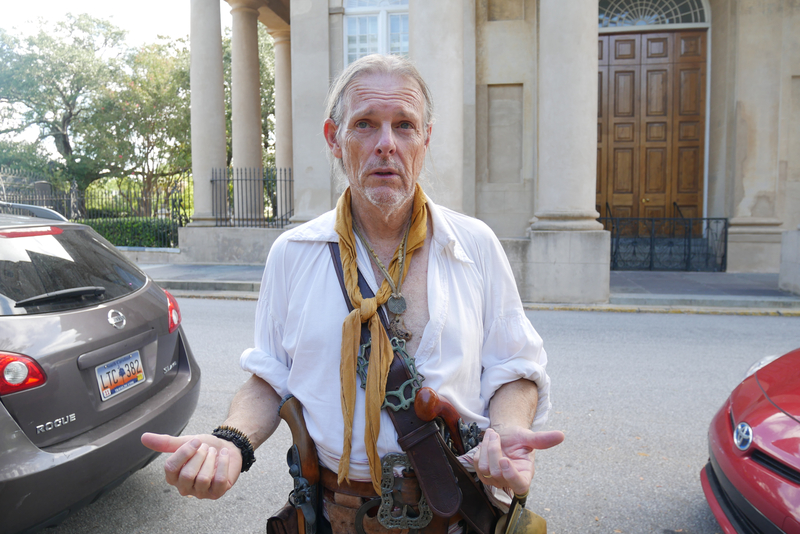 I learned about the city’s unique past on a guided tour with captivating storyteller Eric Lavender of Charleston Pirate Tours. The tour also allowed free entry to the Powder Magazine, a former gunpowder magazine built in 1713. Now a museum, it’s one of the oldest surviving public buildings in the state. Direct links to Blackbeard with Savannah are scarce and not well-documented. However, it’s as swashbuckling a city as ever you’ll come by. One of the most pirate-y and popular attractions in town is the Pirate’s House. The oldest standing building in Georgia, its construction was started in 1734. Originally a home for a gardener and then a tavern for seamen, it’s now a restaurant serving Lowcountry cuisine with a bar mixing particularly potent cocktails. 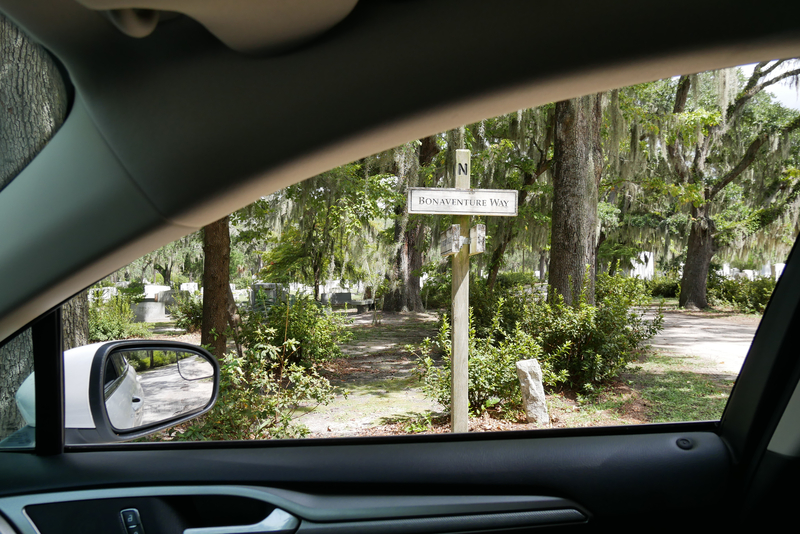 Savannah is mentioned a number of times in the Robert Louis Stevenson novel Treasure Island and the Pirate’s House is where locals believe the book’s Captain Flint died. Off Savannah’s coast is Blackbeard Island. A National Wildlife Refuge, the island is where the notorious pirate is said to have hidden his booty. Word of stormy weather heading to Georgia prevented me from reaching the island. The skies turned out to be blue during my few days in Savannah. In fact, I went swimming in my hotel’s pool to cool off on the day I had planned to go to Blackbeard Island. Oh well. Better safe than sorry and now I’ve got an excellent excuse to return! My route was one of smooth sailing thanks in large part to the Ford Fusion I hired from Hertz. It was my first experience driving a hybrid. I felt good about going with the greener option. I felt great wherever I stopped for petrol and the cost was way cheaper than I otherwise expected. 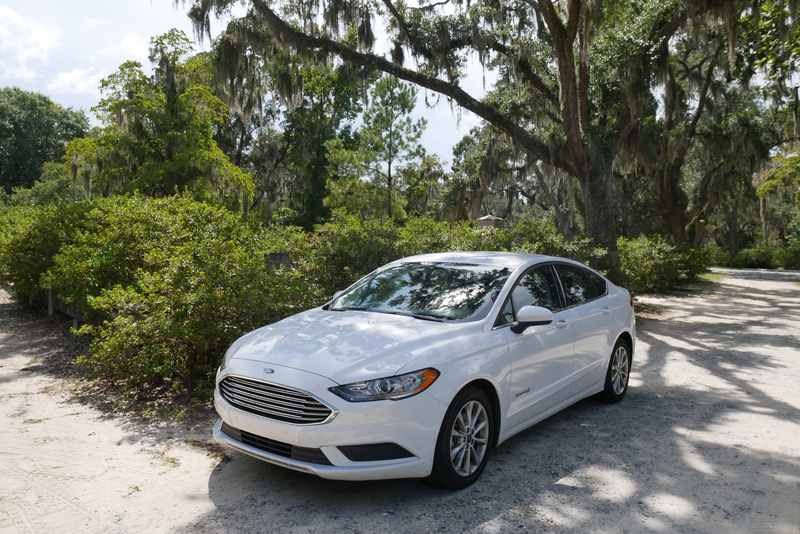 I’d hire the same again and can easily recommend the Fusion for anyone looking for a comfortable and fuel-efficient ride. To book you USA car hire, click HERE. Chris Osburn is a blogger, podcaster and freelance journalist. He is the driving force behind the long running and award winning blog, tikichris.com, which serves as his outlet for sharing daily updates, which highlight the best of London culture and lifestyle alongside plenty of food and drink and travel related features. Originally from the American Deep South, Chris has lived and worked all over the world and has called London home since 2001.